PREVENTS COLOR FROM FADING AND RESTORES RADIANCE. 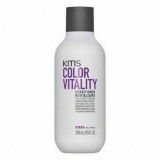 Show your hair some love with KMS Color Vitality Shampoo. 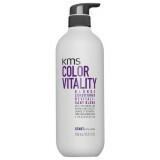 This gentle formula is ideal for al.. 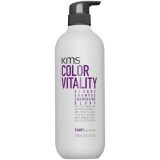 Protect your hair and lock in its beautiful sheen with KMS Color Vitality Conditioner. T..
Show your locks a little love with KMS Color Vitality Blonde Shampoo. Specially fo..
Banish yellow and brassy tones with KMS Color Vitality Blonde Conditioner. ..